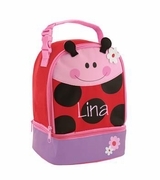 Monogram butterfly classic lunch box for pre-school. Your little girl will be stylish when she carrys this adorable lunch bag covered in glorious butterflies. 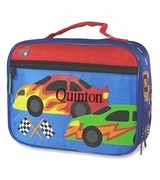 This fun lunch tote offers a main compartment perfectly sized for a sandwich and a drink. 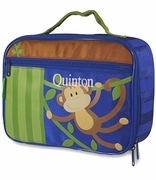 A separate zippered front pocket is ideal for storing a packet of wet wipes or tissues. Two huge butterflies in tones of light and dark pink decorate the front panel as they flutter against a green background. The sides of the bag have a yellow trim adorned with pink flowers. Totally feminine and fun for a little lady! 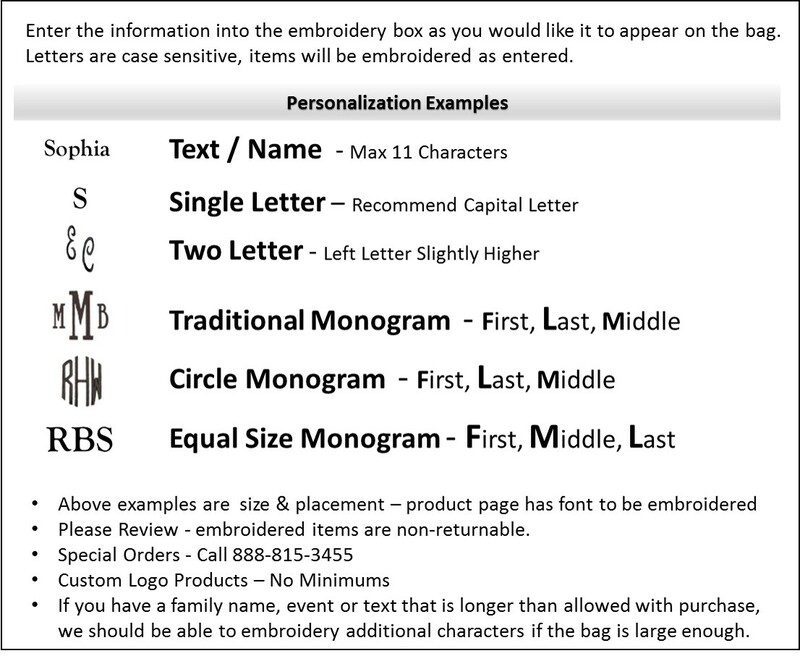 Personalization included with purchase. Matching backpack or duffle can be found in our kids section.